For the ultimate in recycling, or perhaps upcycling would be a better term, take the ubiquitous bottle cap. And then make it into amazing art sculptures and furniture! 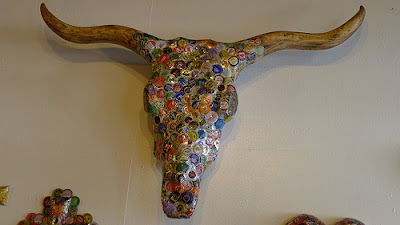 That's what Dakota Redington Pratt does, and you can see his work at D Redington Designs. Or in downtown Portland Oregon in September. Caroline, who writes Spinning Down Under, wrote me a comment on yesterday's post about Soy silk that is too good not to get it's own post. I don't want you to miss this...Caroline really knows her way around fibers. Thank you so much for sharing your knowledge! If I can add to those instructions a bit? Tops, whether wool, silk, soy, or anything else, are made up of fibres usually of a consistent length, and whatever you make will be stronger and more durable if you work with that length. To find out how long the fibre length is hold a piece of stripped top about the thickness of a little finger between your hands about 6 inches apart and gently tug. If the tops come apart in half, take one half and gently tug those, and that should give you your fibre length. Any shorter than that and you will have problems, but check anyway by once again tugging the length in half. Once you have the fibre length established, you know how much overlap you need to keep your piece structurally sound., even if you are "glueing" it together with acrylic medium. 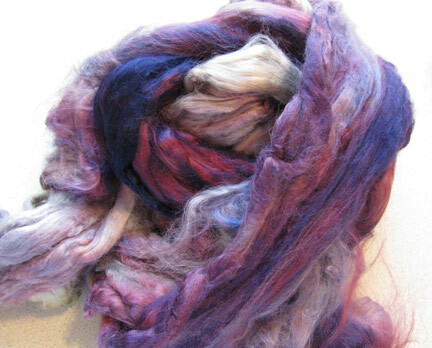 If you can take a whole piece of top and easily pull it in half crossways, without stripping it to finger width first, you probably have extremely short fibres, best suited for wet felting. If, on the other hand, you find you have to start your hands wider apart to pull the strip of top in half, you have a lovely long fibre that is perfect for projects like this and can get a good overlap of fibres where you have to thin them out and lay them in pieces. This is especially important as tops are often made from fibres that are not suitable for commercial spinning because they are not the right length to go through the machines, and with silk it can also be the tangled remains of a silk cocoon that has had to be hand cut apart. Obviously some fibre suppliers are better than others, but it pays to start with good quality tops. 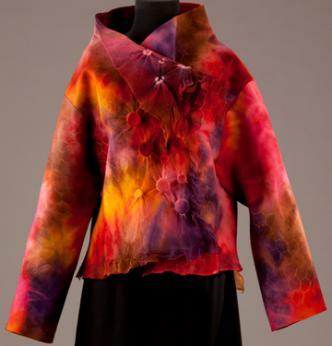 Its also worth noting that some dyes can burn and weaken the fibres, and its not always visible. Also, when buying them, if the shop assistant takes to the tops with scissors to cut you a length, shop elsewhere, because you are going to get extra short and useless fibres at both ends! Always pull tops apart by hand. 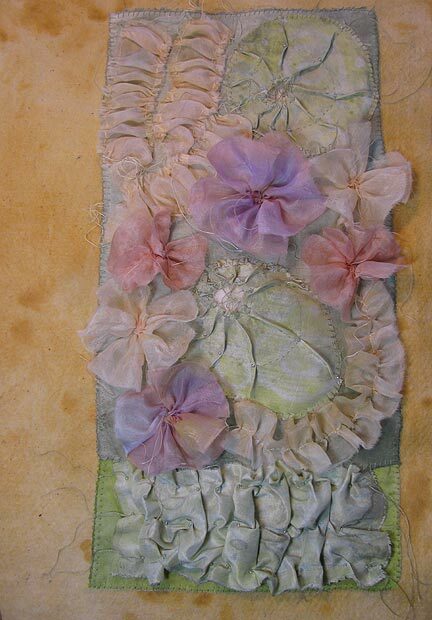 I've been experimenting off and on with soy silk roving, and although I enjoy turning it into silk fusion fabric, painting it, and using it in embroidery projects, I still feel like I'm not finished with it yet. So my next experiment aimed to turn it into strips. One idea that I have is to use the strips in making fabric wrapped bracelets. 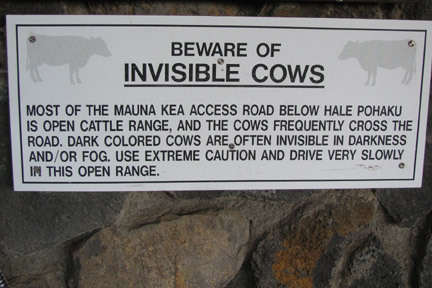 But I'm sure there must be other possibilities. 1. 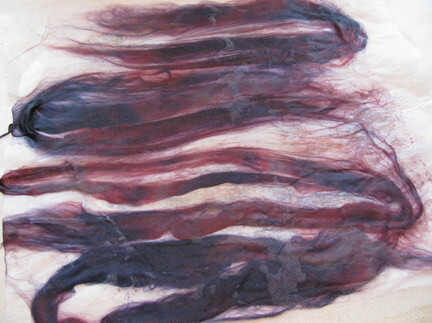 Choose a nice multi-colored hank of soy silk roving. 2. 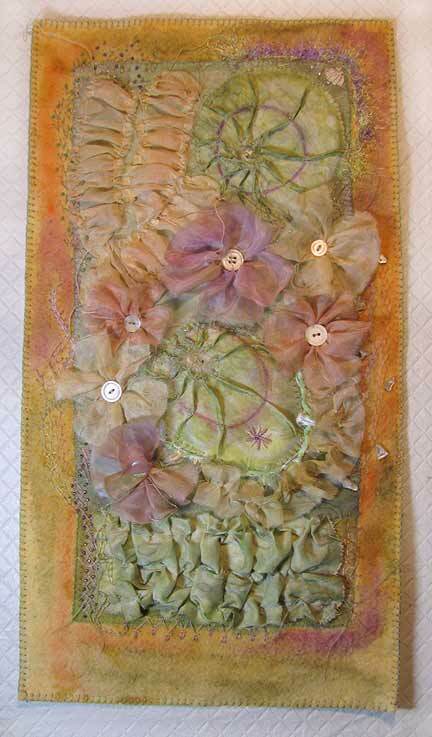 Pull out fabric strips and lay them out on a piece of netting. 3. 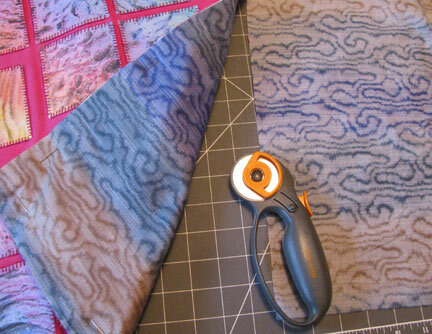 Follow the directions given in the tutorial for Silk Fusion, but don't create a sheet, just longer strips. Straighten out the bends before the strips dry completely. This week at Craftside there is a crochet crown lace pattern, tutorials on how to transfer designs to skin and mold caramels using flexible ice cube trays and a pretty photo of an interesting style of lingerie. The right tools make these pretty gift tags look like they they took hours to make. Thank you Xyron, Cuttlebug, and Tim Holtz! CraftFoxes lists the top 10 DIY projects on Pinterest. 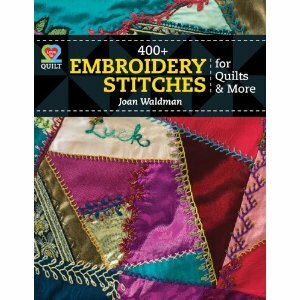 You might be surprised by some of the crafts on this list! 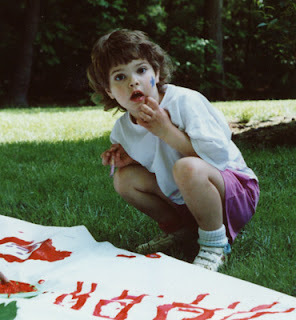 Shrinky Dinks... suddenly the most popular post on June's blog... thanks to Pinterst. Cyndi has been gathering up some of the best business advice that she came across this past year. 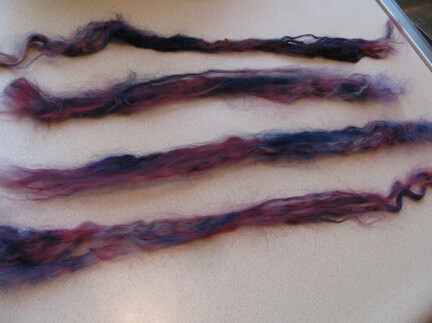 The Crafty Princess is still in love with her spindle and adding a dash of color to her yarn making affairs. 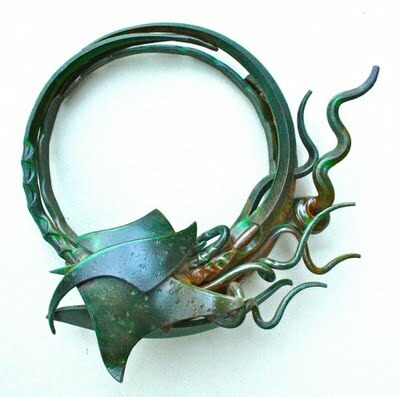 John Haley III is an amazing metal artist. I wish he'd update his blog, but at least if you'd like to contact him, you could leave him a message here. His website seems to no longer be functioning at all. 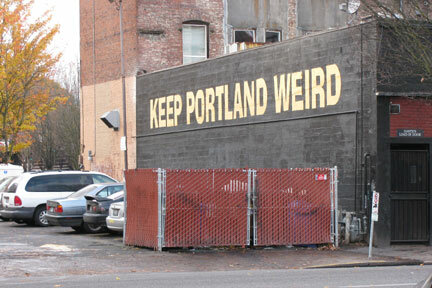 I saw his work in Portland Oregon last September, and I was blown away by its art nouveau-esque beauty. 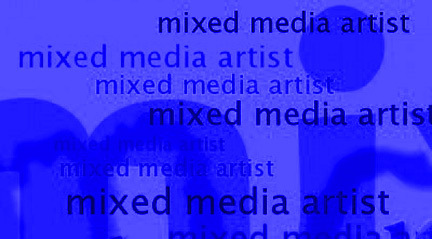 I discovered your blog, and I'm interested in the image transferring. Do you know if any of the techniques would work transferring a printed image onto MDF? I quite like the not-so-perfect finish but it would need to be durable. Any advice would be much appreciated. Hi Ruth! Most of the techniques would work as long as you primed the MDF properly for the method you choose. 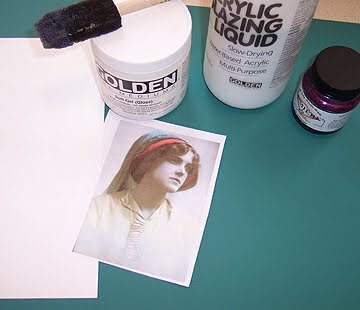 For example, if you decide to do a plain paper image transfer, you would put down a layer of matte polymer medium first and let it dry. You'll have a much easier time getting the transfer to stick that way. Then, after you've peeled up the paper and cleaned it up a bit, you can just cover it with another layer of matte medium to seal it in. 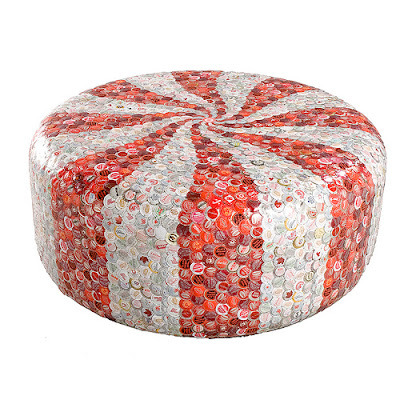 Once it's totally dry, you could seal it again with something more durable if you wanted. 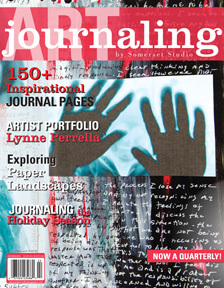 Did you find this page with the links to all the image transfer methods? It is amigurumi graduation time! Learn how to create a handmade onesie for a baby shower gift, with this simple tutorial from See Kate Sew. The current craft challenge on the About.com Family Crafts site is all about making hearts. Drop by and submit your original craft to be published or submit a link to a heart craft you already have posted. Cherie finishes up the afghan she made by putting flowers around the edge. Valentine Card Inspired by "I Heart Stationery"
Eileen was inspired with a minimalist sewn card idea by LA designer Victoria Vu, but went in a very different direction. Isn't that what inspiration is all about? 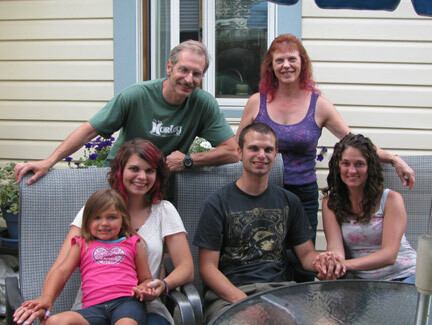 Cyndi took part in a recent blog hop that honored those we love most. 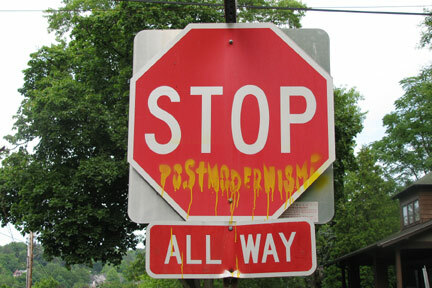 We're not talking about hand-stamping here! Letterpress Now is for the serious hobbyist or for someone who wants to start a business. This volume starts with the types of presses available and has a fun chart to help you figure out which is right for you. Do you have "space to fill and $$ to burn"? Then you might want to get a full-sized cylinder press! 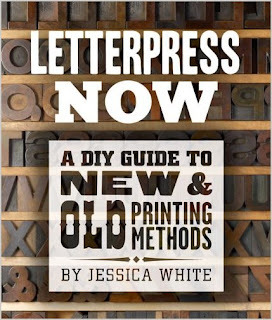 Letterpress Now takes you through the rest of the basics, including more tools, paper, ink, typesetting, clean up, and maintenance. Then if you still are undaunted, come the step-by-step projects. Can I confess that I couldn't do any of them? Here are some of your choices: setting metal and wood type, lino-relief block prints, photopolymer plates, and die-cuts. The project portion of the book was really the only section that interested me personally (the pretty pictures, that is! ), because I just don't see myself getting involved in letterpress. But I could look at the beautiful work of the featured artists all day long and never get tired of it! 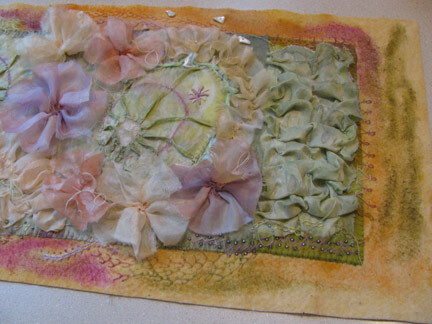 To take advantage of what I learned a few weeks ago about using Inktense Pencils, I decided to finish up the quilt that I've been embellishing with embroidery stitches as I followed along with Sharon Boggon's Take A Stitch Tuesday challenge (TAST). Unfortunately, I was not able to complete the challenge, but I'm really happy that I joined in for at least part of it! No regrets. 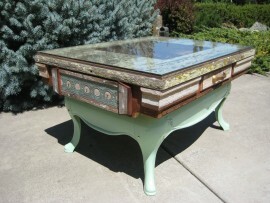 Jim Engelhardt is a recycler's dream! 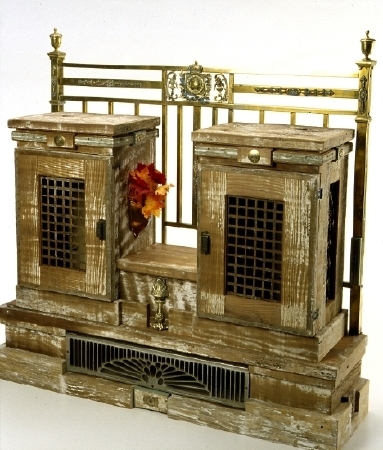 A commissioned piece led him into this path of collecting architectural elements, barn wood, and old hardware that he now follows...coast to coast! I loved his stuff, and I loved talking with him about it. The pieces are so impressive, and unfortunately the images on his website are mostly small, but you can still get some idea of the creative genius of this man. Visit Relics Reborn and see if you can arrange to meet up with him at a show. You'll be glad you did! With just a few tools and a little bit of inspiration, you could soon have your own special set of stamps, designed especially for your mixed media work. Geninne D Zlatkis takes you through the process from start to finish: how to come up with a design idea, how to carve the stamp, how to print it properly, and how to move from simple to more complex projects. 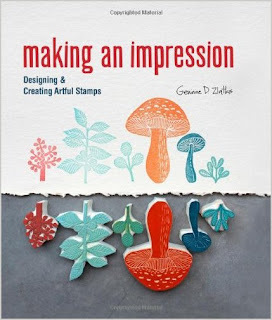 Making an Impression is a totally delightful guide to this process, published by Lark Books. Geninne explains the difference between negative and positive image stamps (something that I have always had some difficulty with, being dyslexic! 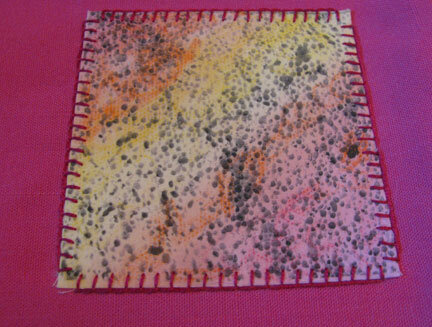 ), and shows you in great detail how to stamp your designs on both paper and fabric, but also on some other creative surfaces. 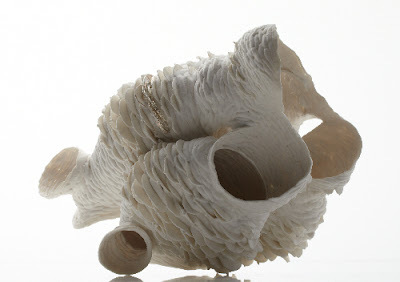 What I really like about the projects is Geninne's emphasis on using the ideas as a jumping-off point. You are encouraged to come up with your own stamp designs, and also to feel free to riff on her project ideas. As an extra bonus, Geninne has included 50 of her own personal motifs that you are free to use. Amazing! 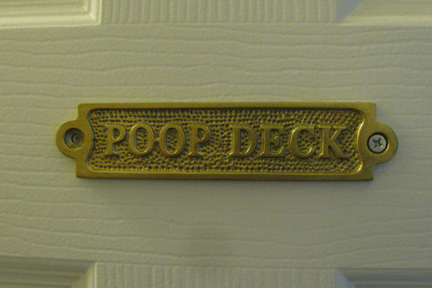 Are you all familiar with comedian Bill Engvall and his Here's Your Sign shtick? I love the feeling that you get when you figure out that you are finally on the right track! 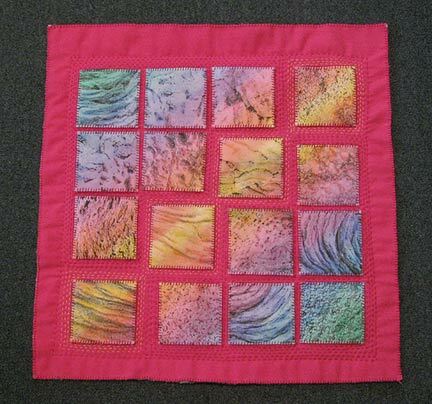 As soon as I found the arrangement that I wanted for my lava fabric blocks and had them loosely tacked to the raspberry-colored background fabric, I knew that this quilt was going to be about embroideryfloss quilting, not at all about beads. I removed the beads that I had already stitched onto four of the blocks. Better already! Here's how I finished up the quilt, which now has the name Kīlauea, since that was the site for almost all the lava photographs used in this piece. 1. Iron a piece of lightweight fusible interfacing (not shown) to the back of the background piece of fabric. Make sure to cut the background about an inch larger than you expect your piece to end up. 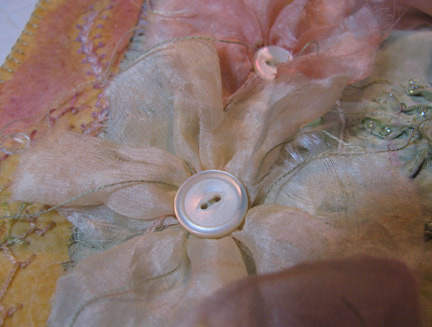 Pin to a piece of batting and cut it out a bit larger than the background fabric. 2. 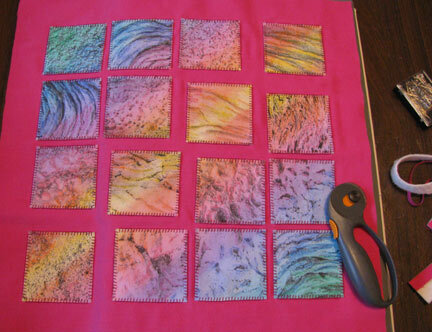 Pin the blocks into position and stitch in place. I used a blanket (or buttonhole) stitch. 3. When all the blocks are stitched down, even up the edges a bit, still leaving them a little larger than planned. 4. 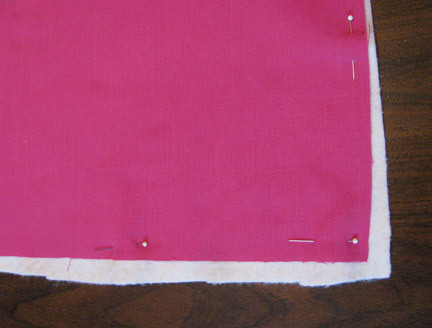 Pin the piece to the backing fabric and cut it even with the top. 5. 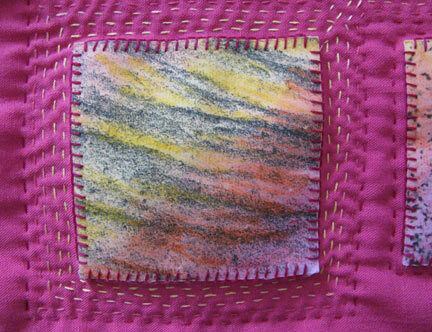 Quilt through all the layers, using embroidery floss (I used 2 strands). 6. 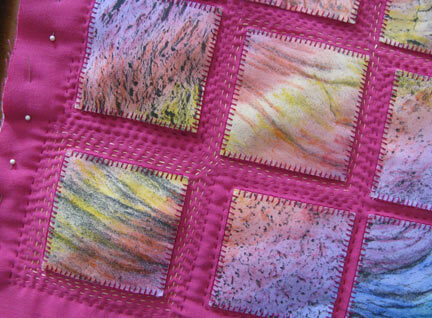 I used more rows of quilting around blocks that had more space, with graduated colors similar to the lava blocks. 7. 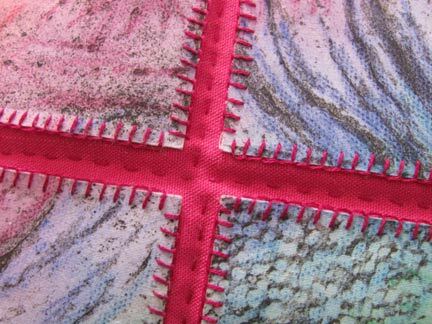 The quilting pattern included a diagonal line that ran from bottom left up through the top right in the middle of the quilt. 8. With such a large amount of quilting, the piece is likely to shrink a bit, and may even shrink up a little irregularly. 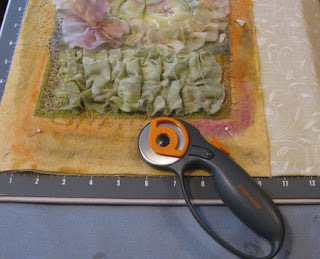 Remeasure carefully before cutting to even up the sides again. This is why you want to leave the background a bit bigger than the final plan would call for. 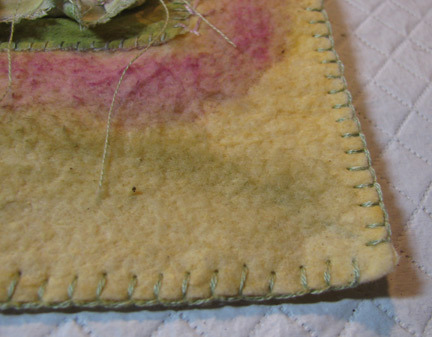 I used blanket stitch again all around the outside to finish it off. I'm still a bit surprised that it didn't end up with any beads on it, but I am very happy with it! 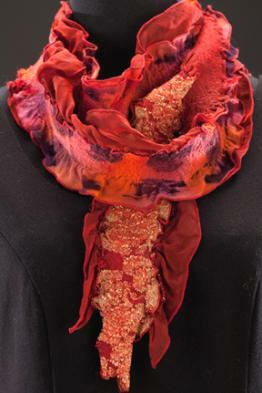 Cyndi is looking for bead artists to feature in 2013. Have some work you'd like to share? Come see how! If Not Now, When Will You … New Year's Resolutions Anyone? This was Eileen's ambitious list for 2012. The good news is she accomplished something from each craft category. The bad news - Eileen's not perfect. Darn! Cherie uses her holiday break to start an afghan. Get a chance on the Crafty Princess Diaries weblog to win a new book about bead weaving. 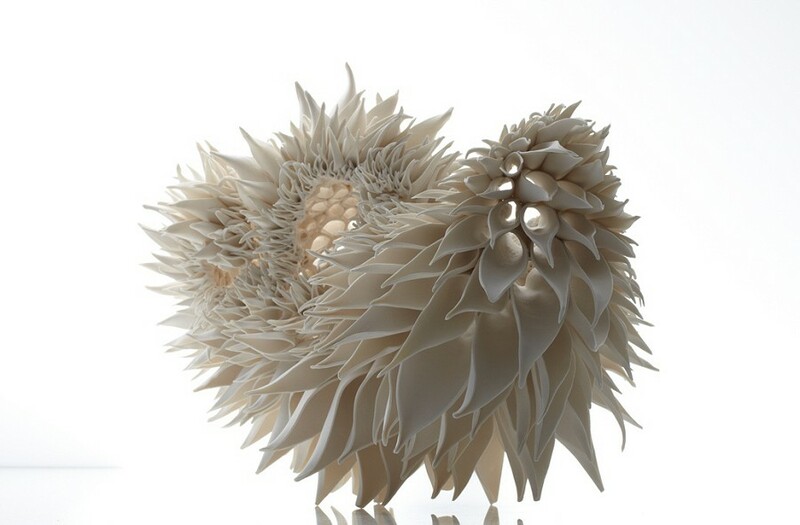 My mother used to make little Christmas trees and other shapes from small pine cones and also from teasel heads when I was young, so Nuala O'Donovan's work really appeals to me! Visit Nuala's site to see more of her intriguing and beautiful porcelain pieces. Unless you live near Cork, Ireland...maybe then you can arrange a visit instead!